The Windows Calculator does not increase its font size or appearance based on the screen resolution of the monitor your computer is connected to. It will always display the characters in an eight pixel font size which displays them ridiculously small if your use a large screen resolution. 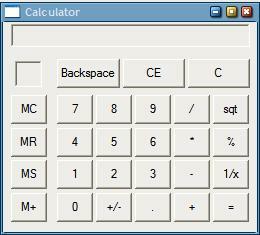 Microsoft does not offer a way to change the display of the Windows Calculator or adjust the font size automatically depending on the screen resolution of the computer which means that we, once again, have to rely on third party tools to change a default Windows application so that we can work with it. You do need a software called Resource Hacker for this, the link is at the end of this article. Unpack Resource Hacker and start ResHacker.exe. Now click on File > Open and browse to C:\Windows\System32 and open calc.exe. Now browse to the entry 101 and click on the child 1033 (1033 can be another value on your computer, it should display only one entry, click on that). You see many lines of code on the right window including the one important for us: FONT 8, "MS Shell Dlg"
You increase the font size by simply changing the 8 to another number. My suggestion would be to change it to 10 or 12. Click on Compile Script afterwards and you should see the changes immediately in the preview window. Do the same for the entry 102, 1033. One changes the font size of the scientific calculator while the other changes the font size of the normal calculator. As you can see this makes a huge difference. 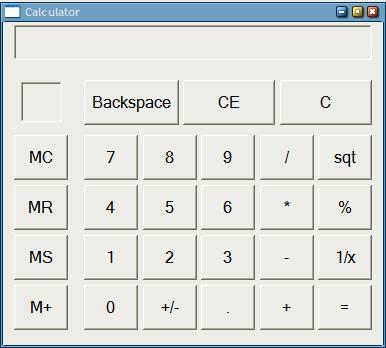 Now save the new calculator using the Save As dialog, name it calc1.exe for instance. Please note that you can't replace the original calculator from within the software because it is system protected. The best option in my experience would be to change the shortcut in the start menu to point to the new calculator. Just right-click the shortcut, select properties and change the path under Target accordingly. If you saved it as calc1.exe for instance which was saved to system32 you simply add the char 1 to the path. I have not found a way to replace the system calculator with the newly created one. If anyone has experience in that matter contact me please. Still, the change that you make is permanent so that you only need to make it once before the new font size becomes available in the newly saved calculator file. How ridiculous of Microsoft not to enable changing the font size of such an essential tool. So typical. I can’t find a way to actually save the altered file. No matter what I type as a filename, and wherever I try to place it, I get a message that states the file already exists. Any ideas? This should work – it did for me. There are two calc.exe files in windows folder. One is in C:\WINDOWS\system32, while the other locates in C:\WINDOWS\system32\dllcache. Usually, we use the file in the root “system32” folder. The one in the latter one is the backup file, which will replace the calc.exe in \system32\ once the system monitors any change of the original file. My solution is to replace the calc.exe in the “dllcache” folder first, then the one in the root “system32”. Now the calculator I opened is the one with large font size. THANK YOU!! THANK YOU!! How cool is that?? Now I have no excuse for making ‘simple math’ errors because I couldn’t see the tiny buttons!! Now the question is why didn’t Microsoft think of this? I guess ’cause the kids doing it still have good eyesight! firstly, this reply is too late for any acknowledgement although i couldn’t resist doing so. thanx should go to raineed for showing the manual “replacing” method of system file. it’s good for experienced users, the other easier method for a common or a novice user to replace any system file (in xp or lower) is to get a software called replacer which is actually a command extension (batch file in old parlance). the link’s http://www3.telus.net/_/replacer/. @martin brinkman: the control 403 inside reshack is the one which doesn’t show any significant increase in text size though the text on buttons become large enough. i’ve never been able to find a way to increase just the text size of the digit box. any takers? 1. Create a working folder and copy c:\windows\system32\calc.exe into it. 2. Make a sub-folder called en-US in your working folder. 3. Copy c:\windows\system32\en-US\calc.exe.mui into that sub folder. Substitute language pack of your choice if not English. Make sure the sub folder in your working folder matches letter for letter the name of your language pack in use. 4. Use reshack or the newer resource hacker FX (patched up some things) to open the .mui in the sub folder. 5. Open Dialog resource. Edit resources 711, 715, 730, 735, 740 and change font from 3 to whatever size you want. I used 6. 7. Test your calc.exe in your working folder. It should load w/ the bigger font size. I highly recommend using the “compile script” button after each change to see the difference. I also recommend after saving and exiting reshack (or reshackFX) that you rename both the .mui and the .exe to something different like calc-big.exe and calc-big.exe.mui (the .mui *MUST* match the name of the .exe except for having .mui on the end or the app won’t load). If it looks good, copy the exe back into c:\windows\system32 and the .mui into en-US or whatever your language folder is. You should then be able to run your new version of the app from the command prompt or make shortcuts or what-have-you. 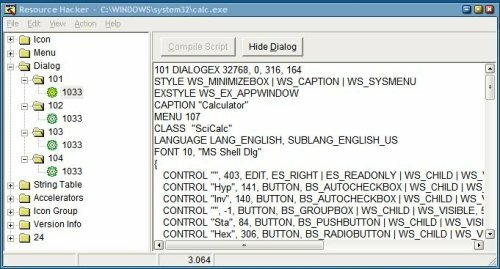 I am running Win 7 64bit and my calc.exe does not have a “dialog” on the folder tree. My folder tree looks quite different. I found the same thing as Craig did. Searching for any of the key words in your example netted no finds. Did they change the calc file to prevent this?! OK – so I jumped the gun and didn’t read the entry above from July 16 2013…follow the directions there and you will get it to work! However – on mine, certain keys had “?” marks in them and not the proper symbols (like the back-arrow, and the sqr-root symbol) In the dialog’s control entries the “?” mark is there. How can you get the correct symbol on the key? Thanks Walt! That worked for me and I got the same results with a ? for powers, roots, ! and back arrow. I had to rename the .mui file for it to be recognized by the app. ; and it would not run until I put the renamed files back in the original directories. I got it to work just fine, so I tried it on the Character Map (which I’m tired of squinting at in 8 point also), and it worked there too.